I sometimes wonder how we got along before the electric router was invented. It is such a versatile tool and is often the first that comes to mind when designing a new project. Whilst freehand routing is a skill in its own right, most jobs will require the use of guides or jigs to control the movement of the machine and ensure accurate cuts. 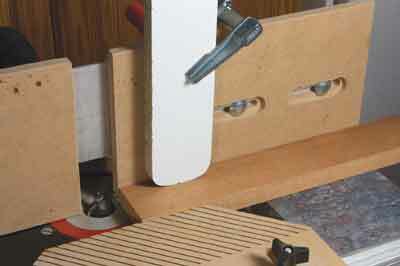 Perhaps the single most useful such accessory that can be added to a portable router is a router table which, whilst no substitute for the full-sized spindle moulders found in professional workshops, converts the router into a fixed machine and gives the operator almost endless scope for a wide range of woodworking techniques. 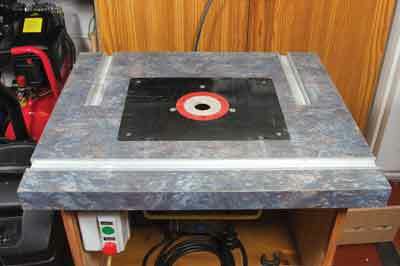 Router tables come in all shapes and sizes, from small bench top versions to large floor-standing designs capable of handling significant workpieces, and from simple shop made devices to precision tables fitted with fences and guides with micrometer-like accuracy. 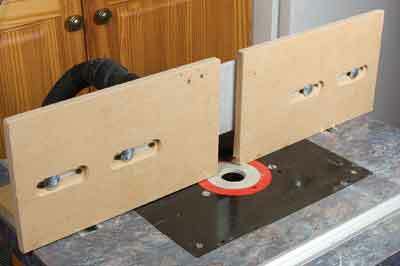 All, however, have some basic design principles in common, consisting of a flat table mounted on some form of support. 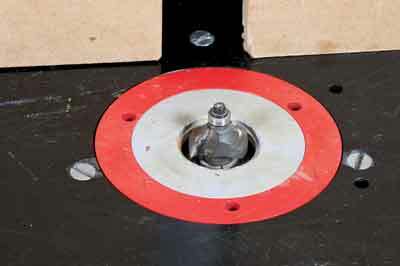 The table will have a hole through which the cutter projects, which may be fitted with inserts of various sizes to accommodate differing diameters of cutter. 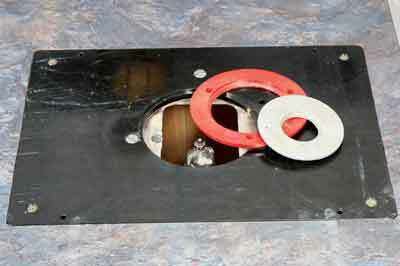 There is a method of holding the router in place inverted underneath the table by means of screws, bolts or clamps. Fences, guides and hold downs, etc. 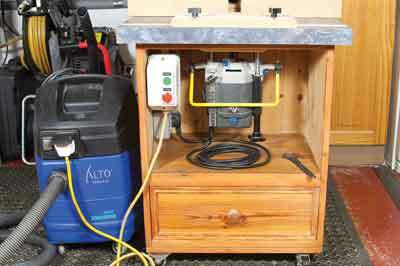 are added as necessary, with provision for dust extraction. As with all workshop machinery, adequate support must be provided appropriate to the size of the machine and the intended usage. This may range from moulded plastic unitary construction devices for bench top use with small routers, to heavy gauge steel frameworks suitable for use in an industrial environment. My home built table is mounted on a solid pine (Pinus spp.) cabinet with a drawer for cutters and accessories. 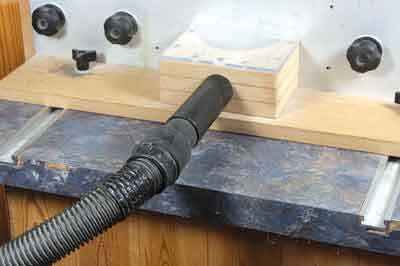 The table top should be solid enough to support the weight of the router and the work without bending or flexing in use. Proprietary table tops are available in a wide range of materials from phenolic to cast iron. Good choices for a shop-made table are MDF or plywood at least 25mm thick, preferably with a laminate surface so that the work will slide smoothly. I used an old kitchen worktop and added aluminium tracks for the mitre gauge and fence. It is important to match the size and power of your router to the table. Whilst larger machines will be capable of more ambitious projects, small bench top tables will only cope with less powerful routers. Make sure that you buy or build a table that will suit your machine and the scale of the projects you propose to do. Most tables will be fitted with an insert, or inserts, that can be changed to suit the size of bit in use and ensure that maximum support is provided for the work, as near as possible to the cut. 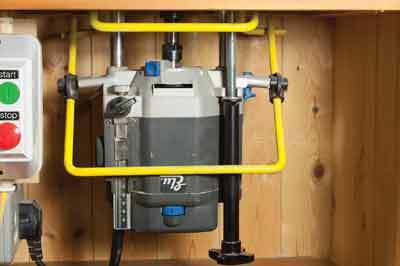 Insert units can be purchased to fit into a homemade table and will often be pre-drilled to enable the fitting of a variety of different routers. 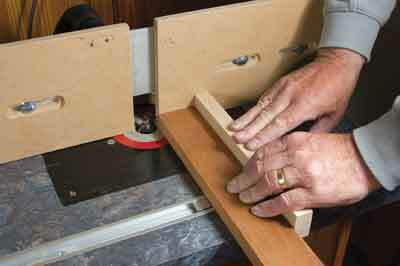 Raising and lowering of the bit to the correct cutting height can be achieved in a number of ways, ranging from using the plunge mechanism or fine adjuster of the router itself, to elaborate chain-driven mechanisms operated from above the table. 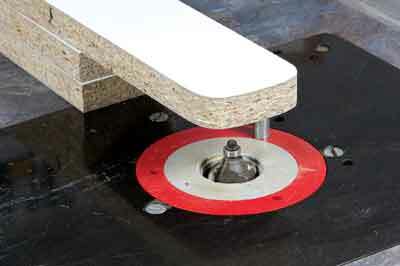 Some tables are fitted with hinges so that the table can be tilted for access to change cutters or adjust their height. 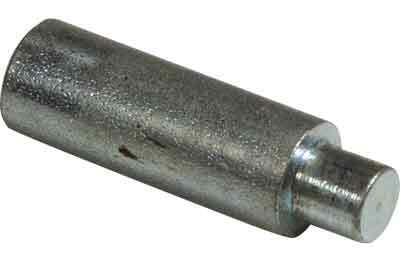 Thicker tables may require collet extensions to be fitted for the full depth of cut to be achieved. 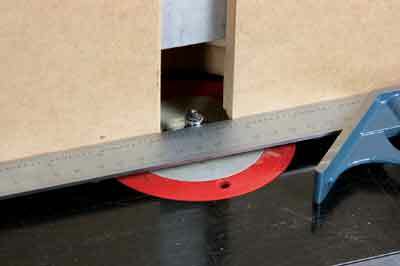 A mitre gauge running in a slot in the table top is a useful feature for the accurate cutting of joints and squaring of the ends of work. Many jobs will require the use of a fence. 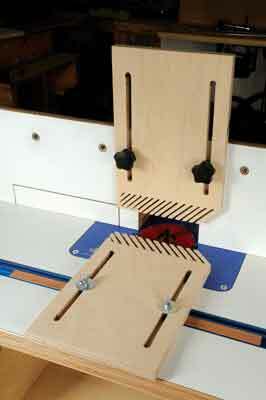 This can be as simple as a straight-edged board clamped to the table top, or may be a precision jig with infeed and outfeed fences separately adjustable to within fractions of a millimetre. 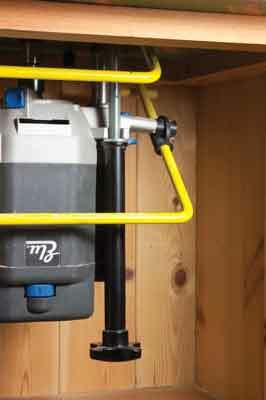 The fence will often incorporate a dust extraction outlet and the facility to attach stops and hold downs. Hold downs and guides will not only ensure that the work is held firmly in place, but will help to keep fingers away from the cutters. The fence design should include guarding of the cutter, and a guard should also be provided above the cutter when the fence is not in use. Extraction is important, as large volumes of waste are produced both as dust and chippings. This may be built into the fence, but must also be provided for in situations when the fence is not used. A lead-in pin will be provided and should always be used to start off work when the fence is not in use. 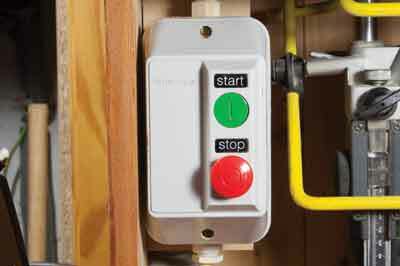 Switching on simple tables may be through the machine's own switch, but it is preferable to have an NVR switch fitted that can be accessed easily when the machine and table are in use. It may be necessary to find a way of holding down the switch on routers that do not have a 'lock on' facility. A short article such as this can only begin to cover the huge range of functions of which a table mounted router is capable. I will cover the main health and safety considerations and in doing so some of the many possibilities will become apparent. 1. Be sure to tighten the cutter firmly into the collet. 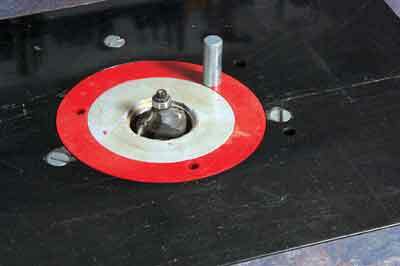 Serious injury can result if the cutter becomes loose and parts company with the machine at 20,000rpm. 2. Using the most appropriately sized insert for the chosen cutter will minimise the gap around the cutter and reduce the risk of small workpieces becoming trapped between the cutter and table. It will also help prevent snipe and other inaccuracies as the work will be supported close to the cutter. 3. Set the height of the cutter with the machine switched off. Never make adjustments when the router is running. 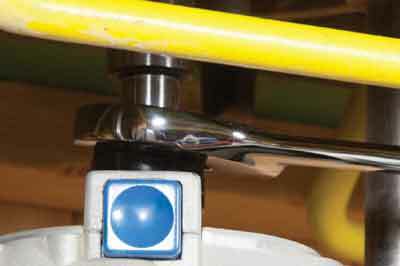 Height can be set using a depth gauge or an adjustable square. 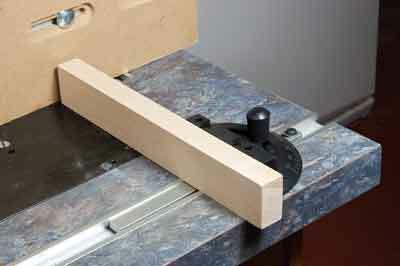 Make test cuts on a piece of scrap to check the setting. 4. 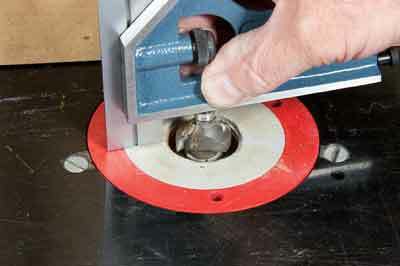 A straightedge can be used to align bearing-guided cutters with the fence. 5. Use the fence to support the work whenever possible, and hold it in place with finger boards or similar holding devices. 6. 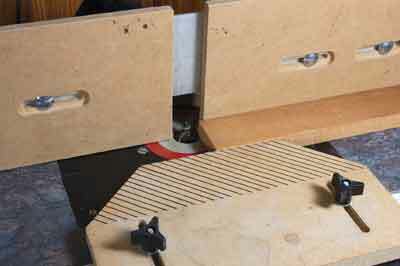 Use hold downs on the fence to keep the work held firmly against the router table. 7. Use extraction at all times. A good fence will have an extraction port fitted and an extractor hose can be clamped to the table near to the cutter when the fence is not in use. Do not under any circumstances brush sawdust and shavings from the table with your hand when the router is running. 8. 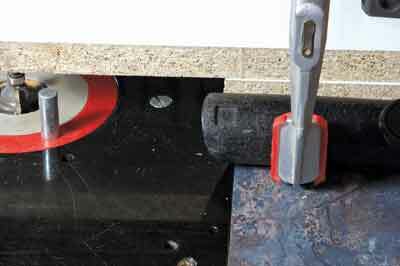 Use a pushstick or the mitre gauge whenever possible to minimise the risk of fingers getting too close to the cutter. 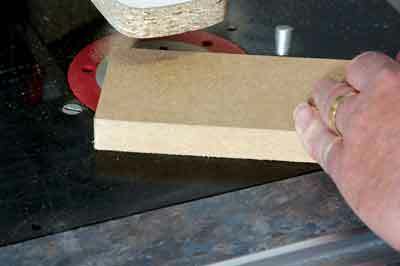 Feed the work steadily past the cutter to avoid the scorching of the finished edge. 9. When using the router table without the fence, for example when moulding the edges of curved or shaped components, always install the lead-in pin in order to start the cut safely without catching. 10. When the fence is not being used, a guard should be fitted over the cutter and hands kept well clear, by at least 75-100mm. Never wear gloves when using a router table, or indeed any other woodworking machine.